Appier, a leading advertising technology company today announced its Asia’s first cross-screen targeting technology is now available in Japan. In addition, Appier also announced another milestone in the company’s international expansion with the opening of a new office in Tokyo. Tokyo is Appier’s first office opened after receiving investment from Sequoia Capital in June 2014. 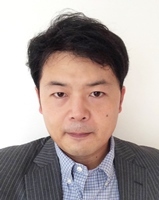 The digital industry veteran Takeshi Iryo (井料武志) is appointed as Vice President of Business Development in Japan. 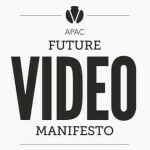 Formed by passionate data scientists, system engineers from Artificial Intelligence labs at Harvard and Stanford University as well as senior digital marketers from leading global companies, Appier has revolutionized marketing by offering Asia’s first proprietary cross-screen marketing solutions leveraging AI and Big Data technology that can deliver the right content to the right audience at the right time on the right screen. With cross-screen targeting, Appier can help marketers make the most accurate and real time decisions to optimize their marketing spend. Global brands and advertising agencies have used Appier’s solution to successfully reach their audiences, including major Japanese brands such as KATE, Nissan, shu uemura, Yamaha as well as global brands such as Heineken, IKEA, Nike and renowned game publishers. Takeshi Iryo has joined Appier since July 2014. With over 14 years of experience in digital advertising, he will lead Appier’s business growth in Japan. Prior to Appier, Takeshi was most recently the Director of International Advertising at Rakuten and recognized as a pioneer of expanding Rakuten’s global advertising business. Takeshi is also a startup enthusiast; he was a start-up member of AllAbout, where he served as the Head of Osaka Branch in charge of West Japan. His experience and knowledge helped the company go IPO in 2005. Founded in 2012, Appier is a technology company offering next generation cross-screen marketing solutions to advertisers across the globe. Headquartered in Taipei, with offices in San Francisco, Singapore, and Tokyo, Appier is passionate about making advertisement the preferred content that connects businesses and users. Leveraging the power of Artificial Intelligence and Big Data, Appier delivers right marketing content to the right audiences at the right time on the right screen, aiming to make digital marketing experience easier and happier for everyone. With a solid team of experts in data mining, artificial intelligence, and digital marketing from Google, Splunk, Intel, Yahoo, and renowned AI research groups at Harvard and Stanford University, Appier aspires to utilize the power of technology to help our clients achieve their business goals and maximize their ROI in the global markets. For more information please visit www.appier.com.